Earth Day is coming! What are you doing to care for our planet? Tell us what you’re doing in your home or business to make a difference. Share your ideas with us on Facebook and you may be featured on our Facebook page on Earth Day! Each year, Earth Day reminds us to keep up the good work of creating a greener, more sustainable world. According to the EDN (Earth Day network), Earth Day has inspired us to save energy, choose renewable energy sources, use recycled materials, and much more since its establishment in 1970. This year on April 22, we celebrate our many accomplishments in sustainability. The Earth Day movement channels our energy toward addressing environmental issues and developing a greener, more sustainable world. But there’s a lot more to be done! Tell us what you’re doing to make a difference. Plant a tree! This year, EarthDay.org is calling on everyone to plant trees – how do trees help our environment? Trees absorb harmful CO2, odors, and pollutant gasses. They filter particulates from the air by trapping them on tree leaves and bark. In our communities, trees can provide food, shade, beauty, energy and income. Take advantage of consumer product labeling from the Environmental Protection Agency (EPA). These programs help consumers make informed product choices that help you save money, reduce pollution and protect your family. Make your pool more earth-friendly. Check out these 10 tips for going green, conserving water and energy, and reducing chemical use. At Hayward, we support the goals of the Earth Day movement, with innovative pool products that save energy and water, and reduce the use of chemicals. 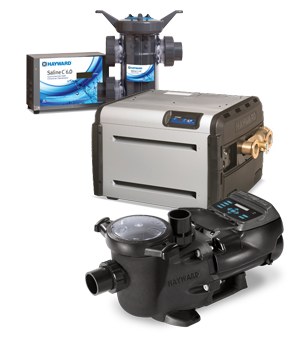 Pool owners can count on us to create the most technologically advanced, energy efficient pool products in the industry. You can save money and make your pool more energy efficient by upgrading to the latest in pool technology. Variable-speed pool pumps and robotic cleaners save energy and can often pay for themselves in as little as a single season. Your pool pump operation can have a significant impact on your power bill. The trend toward variable-speed pumps is growing because variable-speed pumps save money and energy and they run quieter than single-speed pumps. 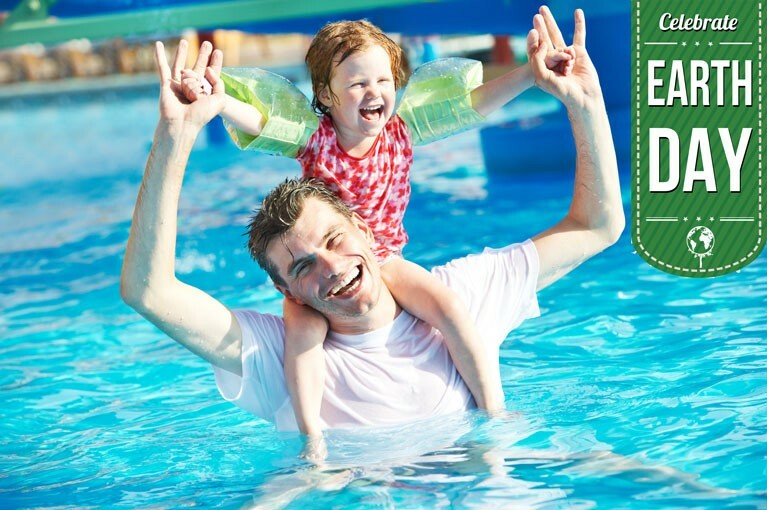 Many utility companies encourage consumers to make the switch to a variable-speed pool pump. They offer generous rebates as an incentive to save energy. 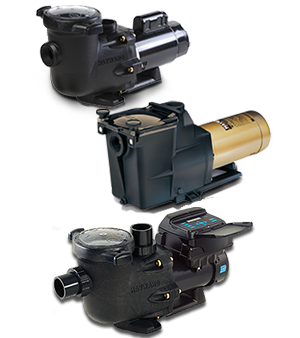 Hayward is leading the way in developing innovative, energy-efficient pool pumps. 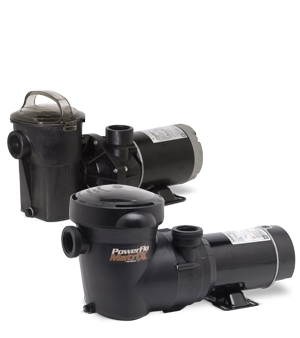 Our ENERGY STAR rated variable-speed pool pumps deliver up to 80% in energy cost-savings over single-speed pool pumps. Robotic pool cleaners are the most energy efficient pool cleaners. Robotic pool cleaners work independent of the pool’s filtration system and are programmed to use the most efficient cleaning path. Pool owners can choose from several scheduled cleaning cycles. Robotic cleaners can use 80% less energy than typical pool cleaners. The state-of-the-art Hayward AquaVac 500 robotic pool cleaner even uses up to 94% less energy than most pressure pool cleaners! In addition to choosing energy efficient pool pumps and robotic cleaners, you can make a difference by keeping up with preventative maintenance. Regular daily maintenance of water levels, debris, and pool chemicals will go a long way toward maximizing your pool’s efficiency. Stay on top of pool maintenance tasks or work with your local pool pro to keep your pool in top operating condition. You can also add a pool cover to reduce water, chemical and energy loss through evaporation. Pool covers help to maintain your pool at a constant temperature and the pool heater will run less often as a result, saving energy. According to the U.S. Department of Energy, using a pool cover is one of the best energy efficiency solutions for your pool. Earth Day is coming! Tell us what you’re doing in your home or business to care for our planet. Share your ideas with us on Facebook and you may be featured on our Facebook page on Earth Day!